This ten lesson course is ideal if you are either a beginner, wanting a thorough introduction to playing the guitar, or if you have played already but want to go back to basics to build a better technique and learn more about music. 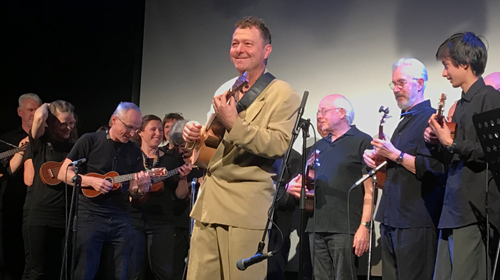 Prepare for group ukulele playing by learning an original uke piece and playing alongside the composer Richard Durrant. Some guitarists choose the long and winding road to audible nirvana. While there are no short cuts when it comes to perfecting your style through practice, you can take the most direct route.